Syntivia uses live cell screening to test active ingredients on a wide range of markers and activities. Our technology of choice is the ArrayscanTM automated microscope which allows us to run 90 test conditions in parallel during the same test. If the targeted marker can be visualized via fluorescence or transmitted light, we will be able to quantify it and consequently target all types of activities. Our analysis allows us to gather a large amount of highly reliable data (between 150 and 500 measurements per sample). Our 2D images will enable you to illustrate your scientific communication. 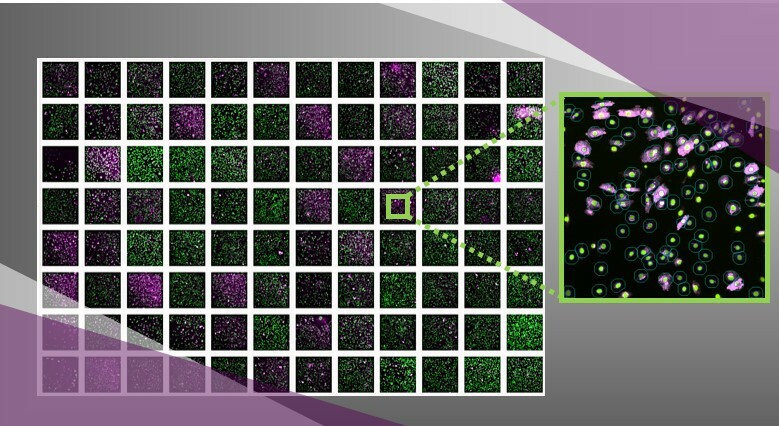 Automated microscopy also ensures the total objectivity of the measurements obtained. Syntivia analyzes gene expression on primary skin cells obtained from all types of donors and kept in a 2D culture or co-culture.